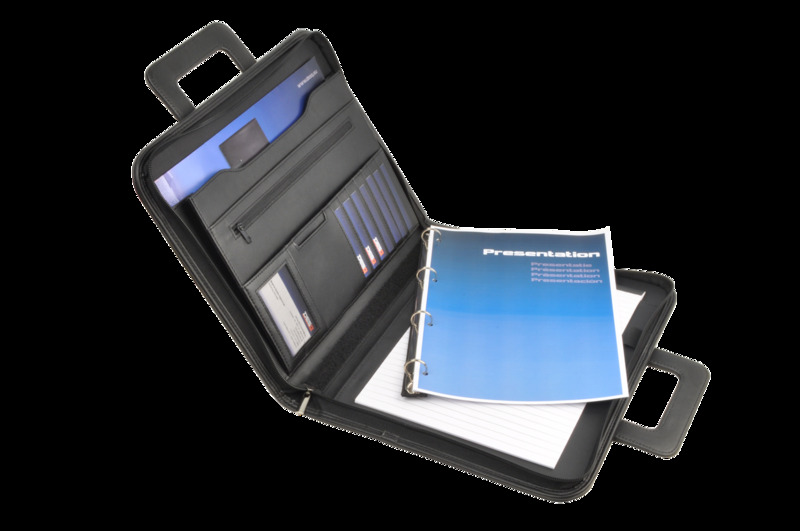 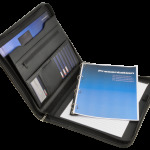 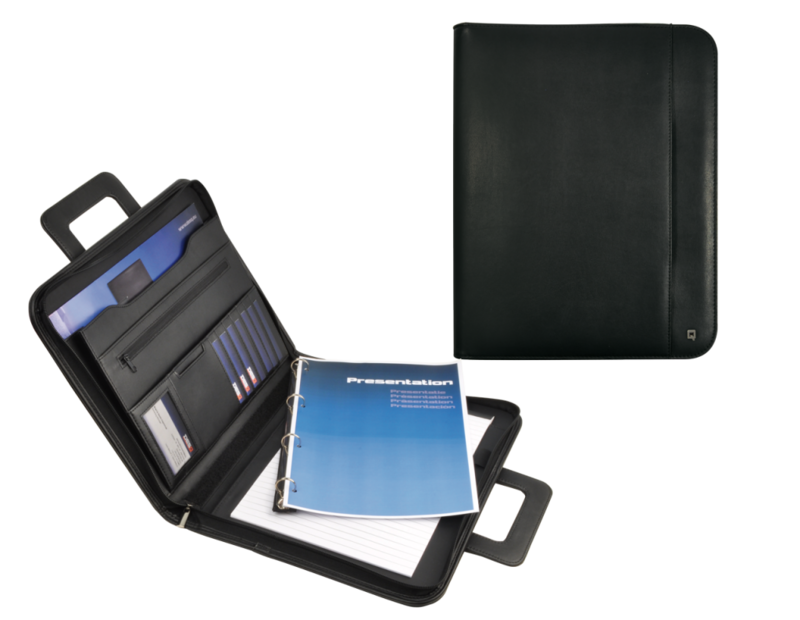 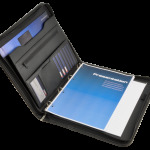 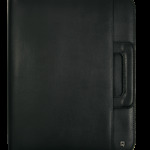 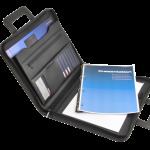 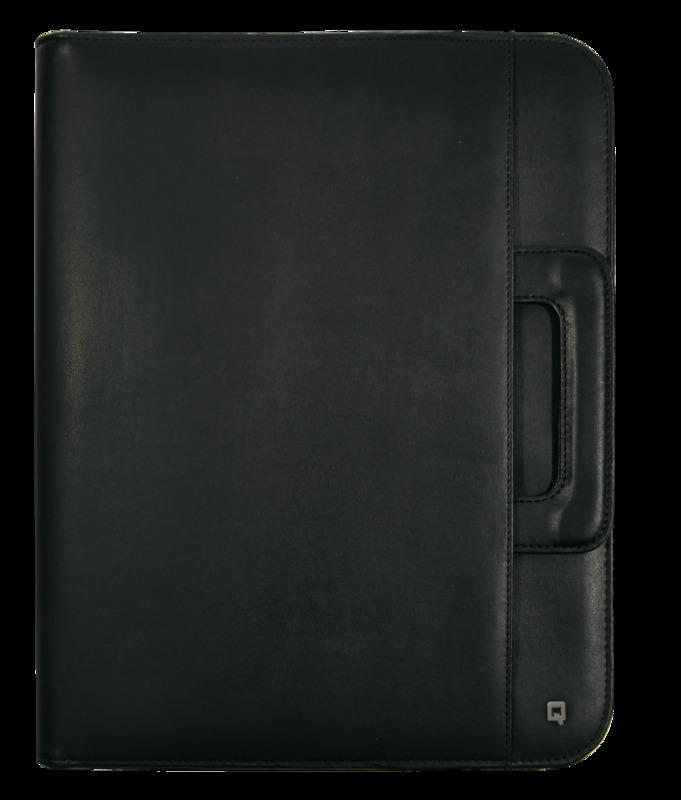 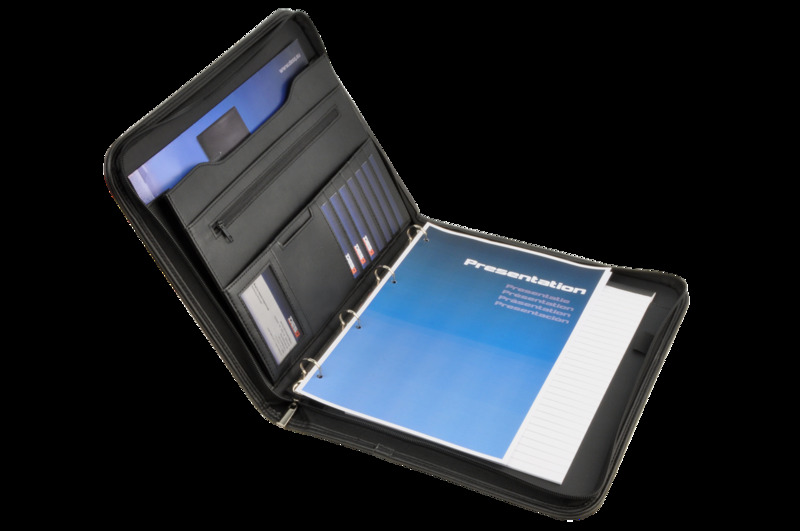 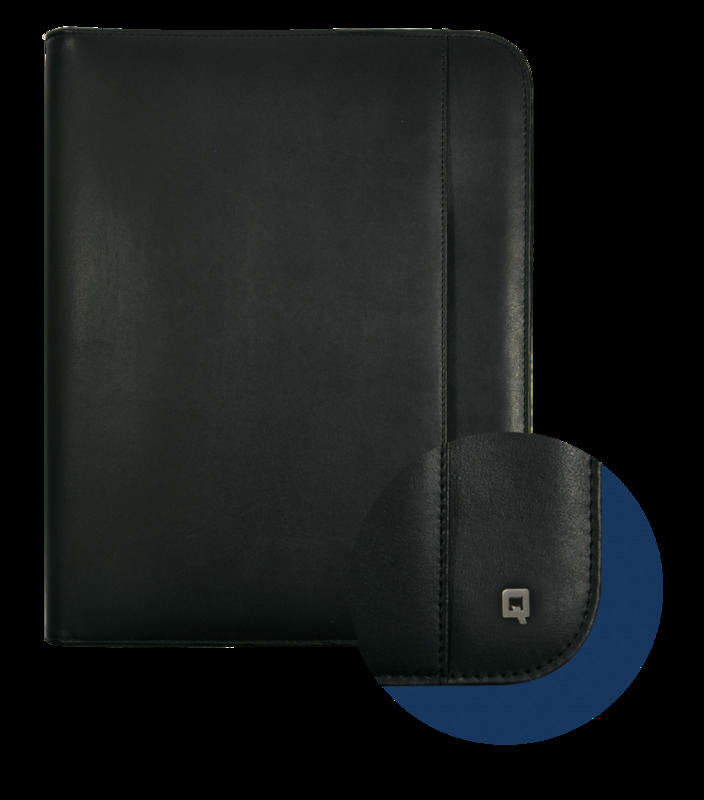 A4 zippered conference folder. 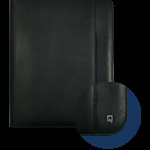 Equipped with a retractable handle, detachable ringmechanism, penloop and several organizer inserts. 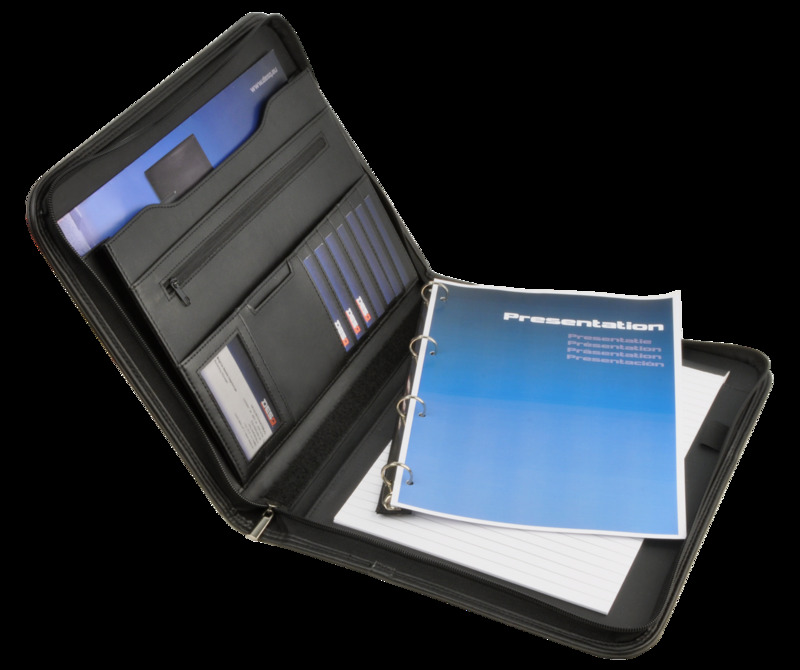 Includes a notepad.